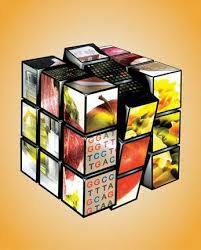 Effect of poor eating habits changes gene expression. A new study has determined that the effects of poor eating habits carries on long after people have changed to a healthy lifestyle. In a new study published in the Journal of Leukocyte Biology, scientists used mice to reveal that even after a complete life style change the effects of an unhealthy life style still impacted on the way the immune system functions. This change in function is attributed to epigenetics as there are poor eating habits that alter the way genes express themselves, including genes related to immunity. This change in gene expression (epigenetics) ultimately keeps the risk of cardiovascular disorders higher than it would be had there been no exposure to unhealthy foods in the first place. For this study scientists used two groups of mice who contained an altered gene making them more susceptible to developing high blood cholesterol and atherosclerosis. These mice were either fed a high-fat, high-cholesterol diet (Western-type diet, WTD) or a normal diet (chow). It was determined that DNA methylation, an epigenetic signature, in the bone marrow was different in mice that received bone marrow from the WTD-fed donors compared to the mice receiving bone marrow from chow-fed donors. Furthermore, these mice had large differences in their immune system and increased atherosclerosis. ← Obesity affects immunotherapy toxicity.